Scylfing – 75% Bluefaced Leicester / 25% Gotland. 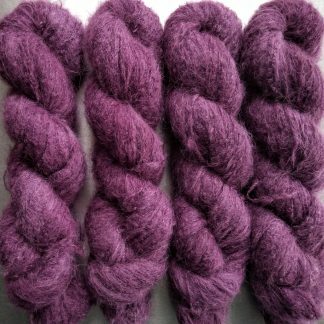 Available in DK, 4-Ply and Sock weights. 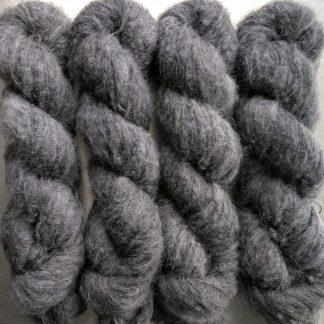 Heulwen – 70% Baby Alpaca / 20% Silk / 10% Cashmere. 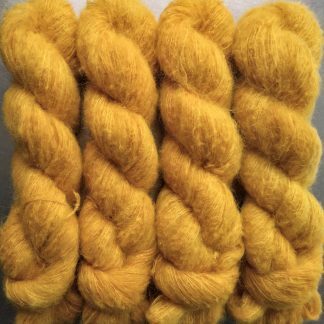 Available in DK and 4-Ply. 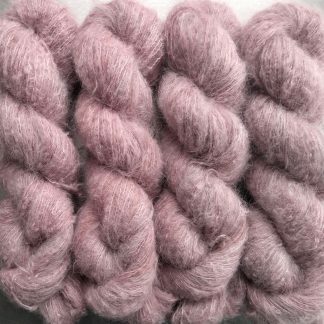 Mona – 50% Baby Alpaca, 25% Silk, 25% Linen. Available in Heavy Lace, 4-Ply & Sport weights. Elmet – 75% Bluefaced Leicester / 25% Masham. 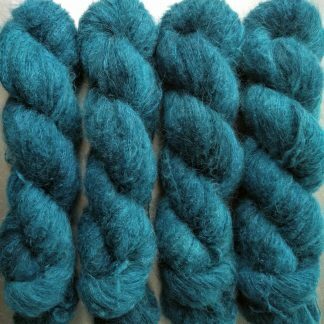 Available in Aran & Worsted weights. 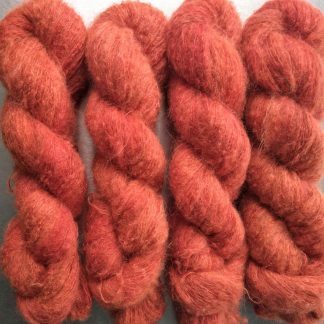 Kettle-dyed using single pigment dyes yielding rich, strong colours with lots of subtle detailing. 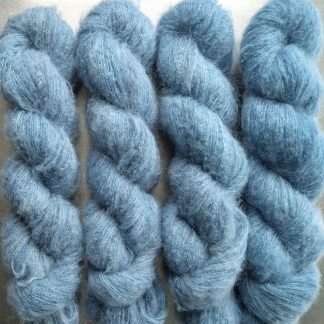 Mostly British sourced fibre, featuring Bluefaced Leicester, Wensleydale, Masham, Gotland and Corriedale. 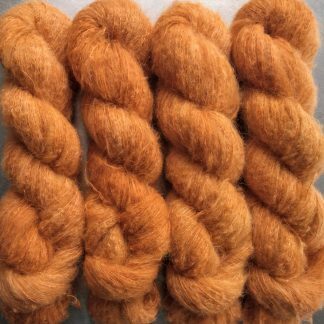 Luxury blends featuring alpaca, silk and Cashmere. Balanced and carefully coordinated themed colour palettes. 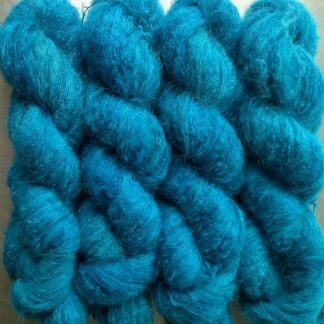 A superb kidsilk-style 75% suri alpaca and 25% silk heavy laceweight yarn. Nimbus is incredibly soft, with rich, bright colours with great depth. 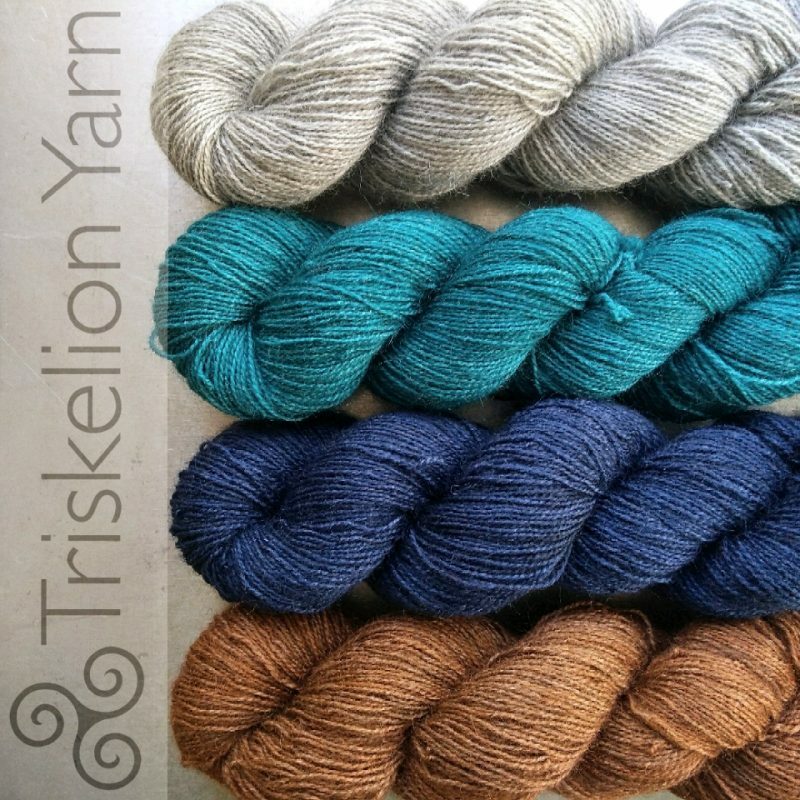 Delicate, gauzy, and yet surprisingly strong, each 50 gram skein is approximately 300 metres of yarn..
We've reinstated a major, much-missed feature to the website as of today: Triskelion Reward Points. 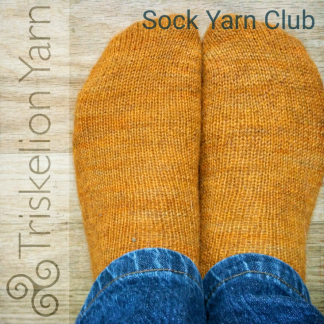 It's a points-based system, like Airmiles and other store/credit card type rewards, that gives you a discount on any future Triskelion products bought through the website (and hopefully in-person at shows, in time).